anyway you like it, from 8.00am till 3pm in house or takeaway. We pride ourselves on accommodating our customers, so let us know what you prefer and we will do our best to provide. No shame in a hot weak latte, if that's your pick. We are also pretty awesome when it comes to decaffeinated beverages. 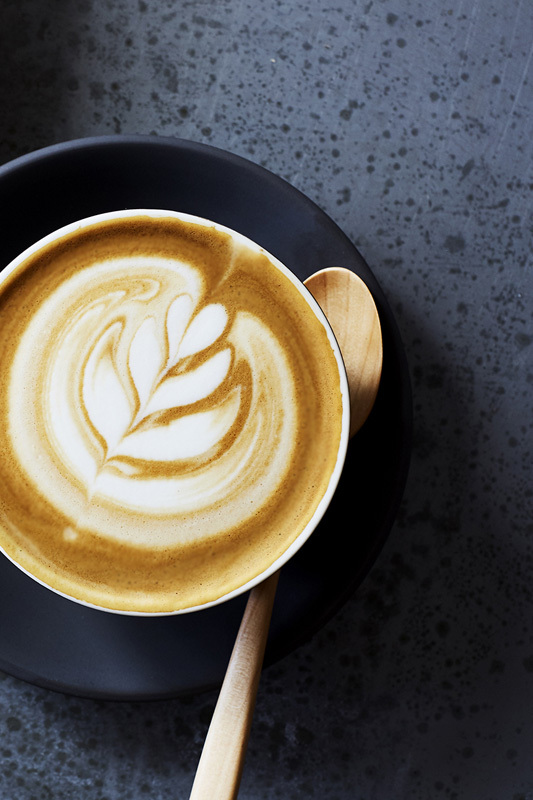 If coffee is not your cup of tea, we have a great selection of alternatives...Starting with our house brewed roasted dandelion... served latte style with either soy (LSD) or almond milk (LAD). Dandelion root is a lovely alternative to coffee that has many health benefits – including but not limited to – liver cleansing and digestive support. Our house made Chai, available in decaf black tea and rooibos varieties, also boasts a long list of benefits like cold prevention and energy & immune system boosting. For something super clean, we have a nice selection of loose leaf organic herbal teas. Our decaf coffee from local roaster Bun, is 100% organic Rainforest Alliance Certified and is decaffeinated using the chemical free, swiss water process. Feeling indulgent?... try our generous jar of ice chocolate or iced coffee with dairy ice cream. Alternatively, we always have a variety of coconut ice creams on the go for a DF iced number, served with either Bonsoy, Almond or Coconut Milk. Not a sweet tooth but want your coffee chilled?... our iced latte is for you. Latte any style, poured over ice, simple and effective. FULL CREAM & LITE MILK – from our local dairy farmers at Norco. SOY MILK – We all grew up on Bonsoy and when they recently altered the recipe to be gluten free we went straight back to it. Bonsoy is made with organic soybeans, is cane sugar free and contains no preservatives or additives. It's simply the best. ALMOND MILK - house made, hand pressed & unadulterated... a really light natural milk option. 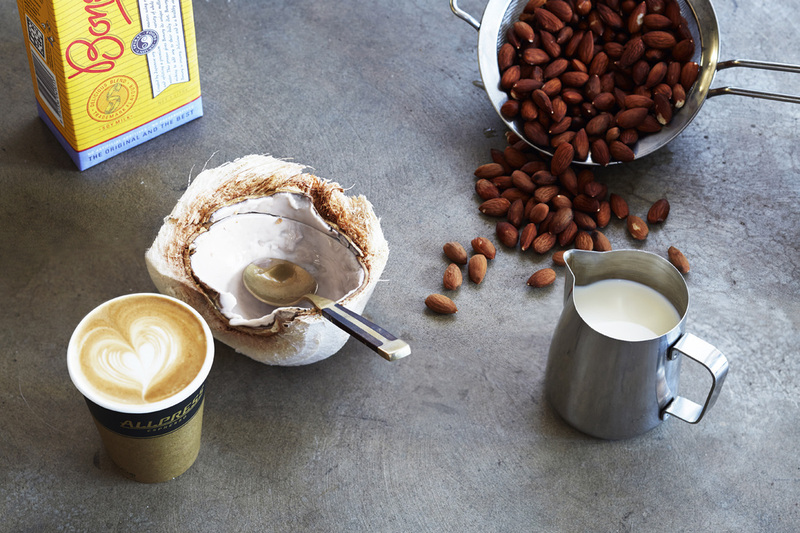 When we first opened Jacqui created an almond milk recipe. Okay – there was not much to it, simply insecticide free almonds and filtered water but she was thrilled none the less. Although the thrill wore off quickly when it was so popular that she was in at 6.30am each morning making it. The job has now been passed onto Dad, one of our truly valued staff members, who loves it and is dedicated to making quality milk each morning. Who's Dad? He is actually Jacqui's Dad and you will see him at a table in the morning having a coffee and reading the paper, or more likely helping around the cafe. The staff all affectionately call him Dad and it's catching on, with many customers now also knowing him as Dad. COCONUT MILK - We tried a few different brands of commercial coconut milk with no huge excitement over any. One day Kyla decided to add filtered water to our quality coconut cream, the end result was delish – again simple goodness, with no added sweeteners. Worth a try... our coconut milk hot chocolate. 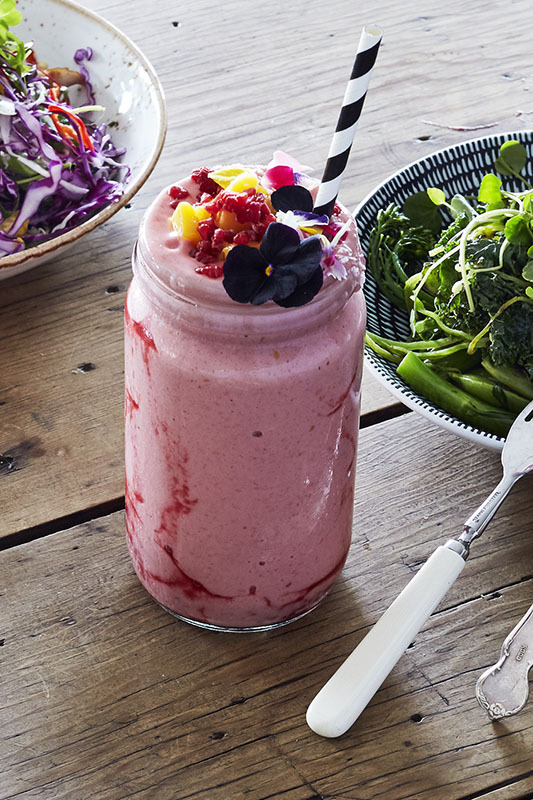 The Belle smoothies are all completely dairy free, made with high quality spray free frozen fruit and hand pressed almond milk. The bananas come from Uralba Valley Bananas, a local family owned and operated farm. The kale is certified organic grown in Wollongbar by Peter Ball, collected weekly by Ray from Nourish. Our smoothies are thick and icy, sweetened only with honey and could easily be substituted for a meal. The green smoothie has no added sweetener and can be made two ways... on Coconut water – refreshing and hydrating and naturally sweeter OR on Almond milk – creamier, sustaining and less sweet.